December 11th, 2011: After a long but “interesting” day on the Greyhound bus, I arrived back in Canada after 2.5 months of hard zone 2 training in Walla Walla, Washington. Although not quite home, staying the night in Vancouver on a friend’s couch, I head down to the coffee shop to find some internet. Breathing in the fresh winter air and squinting against the rising but low-angled sun, my ‘greyhound’ lungs clear and my eyes gently tear. Starting to feel human again now two days after my last real training session, I’m optimistic that I can bounce back from tomorrow’s dental surgery. It will be an operation that will pull me off the bike for 3 weeks, an operation that has single-handedly structured my entire off-season. My career depends how well I come back from tomorrow and how efficiently I can regain my fitness in January. The thin paper cup of hot chocolate cradled in my hands gently burns my finger tips, and tingles against the roof of my mouth as I take the first gulp of ‘comfort’ food in months. Becoming lost in the over-sized leather seats adjacent to the cafe’s fireplace, I settle in and let my shoulders and low back slouch into the plush support. Wrapped under a thick winter top and covered by a grey toque, knowing that two months of hard work is “in the bank”, I relax and exhale. Opening my laptop I surf through the usual social media and cycling news articles. The “regular” articles are there, scandal and words larger than legs. Then I see it! Gastown returns! Global Relay is pumping a big interest into our sport! Immediately I email my teammates…”WE HAVE TO GO TO THIS RACE”. 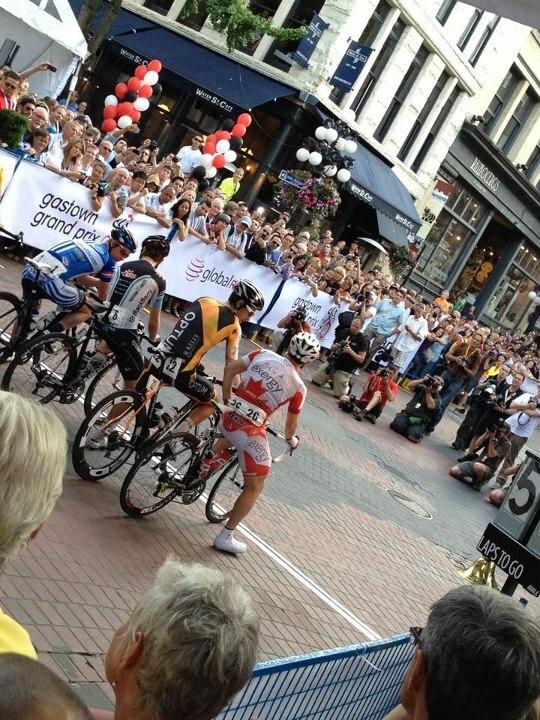 The next day I went into surgery with a goal, a goal made even more crystal clear by the news that Gastown, the biggest 1 day race in Canada, would return after a four year hiatus: I would be the national champion come its start line. #make it so.